This book contains two poems composed exclusively from short sentences found in a German grammar book (Hermann Sanders’ Kurzgefaßtes Lehrbuch der Deutschen Sprache für Chinesen which was first published in 1922). 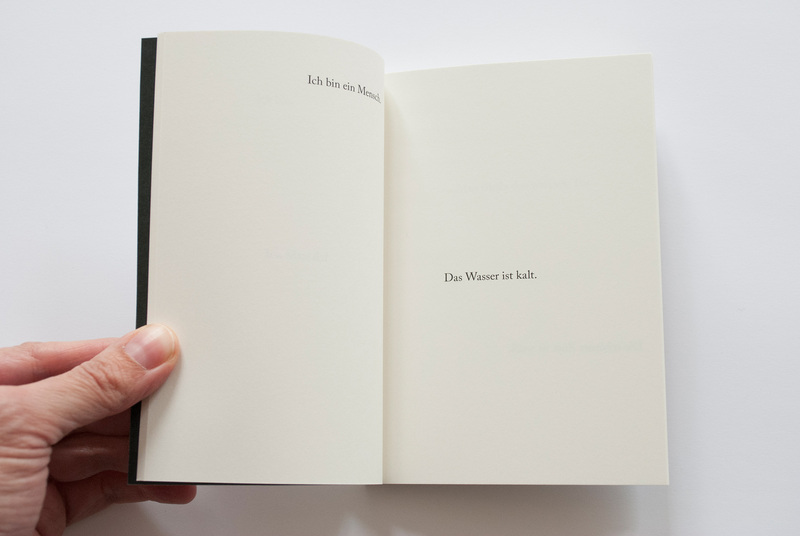 The first poem is titled ‘Was ich weiss’ (What I know), the second poem is ‘Das Wetter’ (The Weather). Each page carries only one line and the lines move about the pages in a free manner. Also see the related book They Were Like Poetry from 2014, based on a suggestion by James Joyce. Published in Berlin, June 2015. 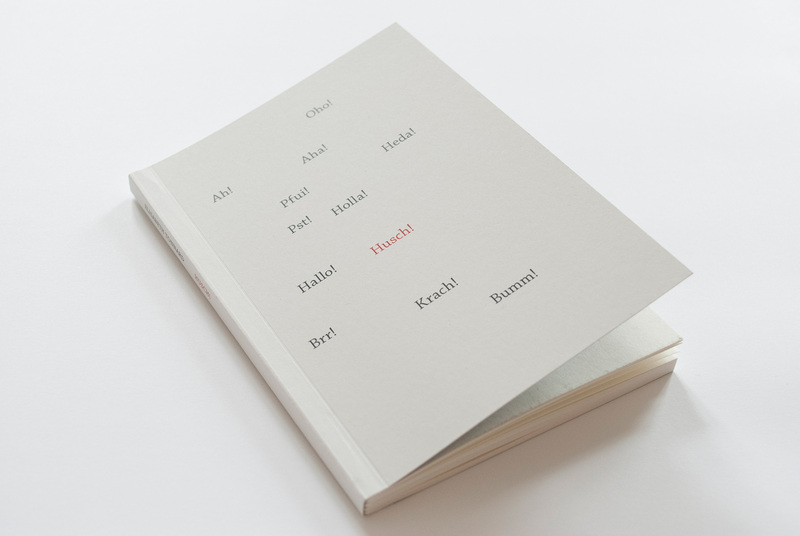 Edition of 65 numbered copies. Black & white printing, perfect bound paperback. Size 10.5 x 14.8 cm, 84 pages. Priced at € 18,- plus shipping. See more images here. Read a discussion of the book by Johan Velter here (in Dutch). The book is included in the collections of Bayerische Staatsbibliothek, Bibliothèque Kandinsky (Centre Pompidou), Jan Michalski Foundation for Writing and Literature, Kunstbibliothek (Berlin), National Library of The Netherlands (Koninklijke Bibliotheek), Thomas J. Watson library at The Metropolitan Museum of Art, Zentralinstitut für Kunstgeschichte (Munich).